The video uploaded on Tuesday by a certain Indika Danthanarayana went viral because the caption, which says "Powerbank inside his pocket explode which connected to hp," grabbed the attention of thousands of social media users. Over 9,000 people shared the post and more than 500 commented. In one of those comments, the truth was revealed. 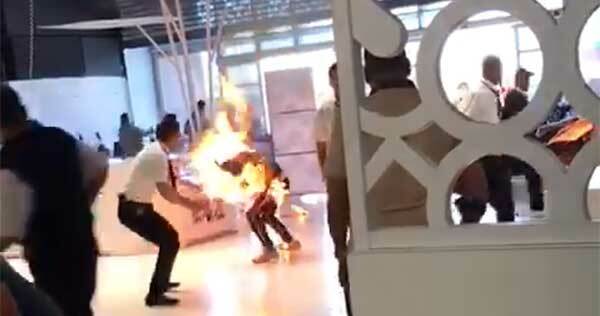 The man, said to be a shoplifter, had set himself on fire in a mall in Morocco — and contrary to what many believed, he didn't bring a powerbank. 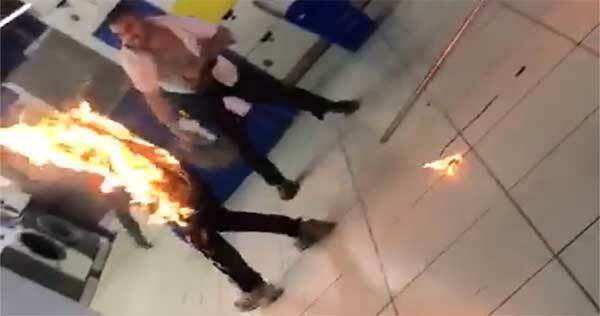 The incident, according to local news sources, took place at the main entrance of a supermarket in Agadir last June 3. The man, who has a criminal record, attempted to steal but got caught and was demanded to pay for the items. On that same day he was caught in the act of shoplifting, he returned to the establishment with a flammable product and burned himself up. His revengeful act did not prosper as mall security personnel quickly grabbed fire extinguishers to put out the fire on his clothes.